Apple is said to be working on a "high-end" iPad for release as early as 2018, incorporating facial recognition like in the iPhone X to replace the home button and Touch ID. But unlike the iPhone X, users shouldn't expect the next iPad to have a bright, expensive edge-to-edge OLED screen. 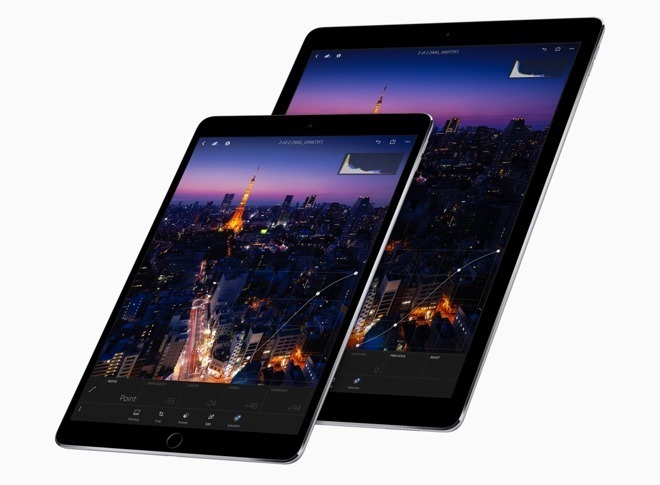 A report by Bloomberg on Wednesday afternoon notes that "sources familiar with the matter" claim the new iPad will have smaller bezels, with a screen size similar to the current 10.5-inch iPad. Also expected in the model is the eradication of the home button, and with it, Touch ID. Instead, Apple's Face ID will be implemented for unlocking the device, authenticating the user for other tasks like payments, and for Animoji. The cited sources say that the updated form factor will debut "later next year" and "A little more than a year" after the last iPad Pro update at the 2017 WWDC. The report comes after numerous claims, including from analyst Ming-Chi Kuo of KGI Securities, which also said Apple would embrace Face ID in next year's iPad Pro models. Beyond the iPad, Kuo has also predicted that all high-end iPhones in 2018 will sport Face ID login, replacing Touch ID. 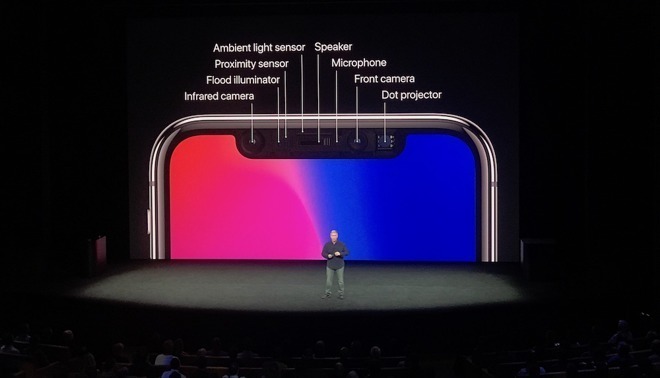 This year, Face ID remains exclusive to the iPhone X, and the technology is said to be the source of production bottlenecks ahead of its official launch last week. Ditching the home button allowed the iPhone X to boast an edge-to-edge display with the thinnest bezels ever seen on an iPhone. But that was helped, in part, by the inclusion of a costly OLED screen. If Apple's next iPads stick with an LCD display, it's unlikely that they will feature bezels as small as the iPhone X. But removing the home button would allow Apple considerably reduce the footprint —and weight —of its hot-selling tablet lineup. The 2017 iPad Pro lineup debuted at Apple's Worldwide Developers Conference in June. In addition to a slightly larger 10.5-inch model, up from the previous size of 9.7 inches, Apple also updated both it and the 12.9-inch model with a 120Hz display dubbed ProMotion. By not going OLED or true edge-to-edge, Apple may be able to avoid criticism of its controversial "notch" for Face ID featured on the iPhone X. Instead, a camera array and no home button could allow for much thinner bezels while maintaining a squared-off display. As for why OLED probably won't make its way to the iPad just yet, the primary reason is cost. Reports have said the display is the most expensive component of the handset, and only Samsung is in a position to produce high-enough-quality OLED panels that meet Apple's stringent standards. For the 2018 iPhone lineup, Apple is rumored to be investing in alternative suppliers in hopes of diversifying its OLED supply chain. The company also uses OLED screens for the Apple Watch and MacBook Pro Touch Bar —devices that sell in far fewer quantities than the iPhone and iPad.